January 12th, 2019 United Soccer Coaches Convention Featured further education by Tighe O’Sullivan on the “Benefits of Sand for Grass Players”. This year’s education piece featured what starts like “King Eric Cantona”, Dani Alves, and others have to say about the beach as well as featuring the fact Bayern Munich’s physical training has moved away from the gym and weight rooms to get a more “complete” muscle development through sand training. It is scientifically proven that training in sand makes you aerobically fitter 1.5x faster, while anaerobically 2.5x faster, while allowing you to jump farther, and have less pain in the process compare to turf or other hard surfaces…and that’s just the tip of the iceberg. The hour-long presentation is currently in the works to be listed on the YouTube education page “YourBeachSoccer” in the coming weeks. It will be broken up into six 10 minute chapters. Keep an eye out for it and in the meantime go here to improve your players. Improve your player. April 20th, 2019 Opening Tournament in San Francisco. The one-day event will be a great introduction to see where teams stand to head towards Santa Cruz and this year’s US Beach Soccer Qualifier which will also be located in San Francisco. This event the day before Easter is perfect for the teams who have players go away for the holiday. They will benefit physically and mentally by getting their feet in the sand early in the year. 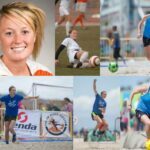 May 3rd -5th 2019 at the Beach Soccer Championships in Oceanside California will feature Beach Soccer Worldwide “California Beach Soccer Cup” https://bit.ly/2tbqP9v. 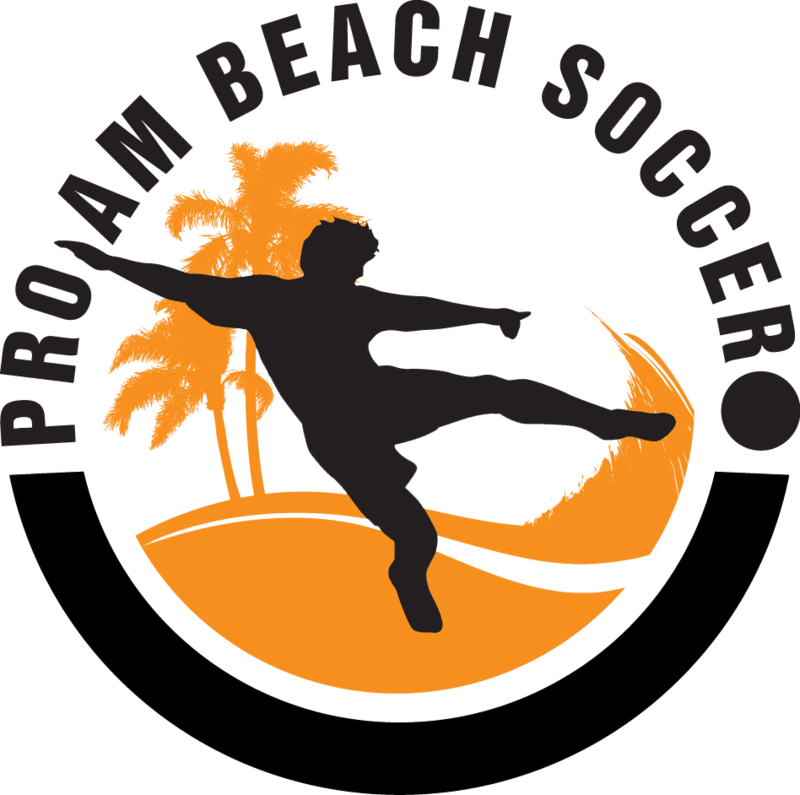 This event also serves as a US Beach Soccer National Qualifier (USBSNC) for the 13u-19u ages as well as women’s, men’s, and coed in southern California. This will be the first of ten qualifiers around the country looking to qualify for the event to take place on December 8/9th 2019. This event is rumored to be the introduction of the US Women’s National Team for Beach Soccer as well. As host nation of the World Beach games, FIFA is expecting our country to have a woman’s team. At this moment, it has not been approved, so we are anticipating a rush to secure the players for the tournament. There are plenty to choose from and many will feature from the NorCal Women’s BSC. June 1st-2nd, 2019 the 4th Annual Pompano USBSNC Qualifier in partnership with the South Florida United Youth Soccer Association will see a wider range of teams as talks with clubs throughout the state have become aware of the impending national championship. This is the best date selection so far for this event, so we are excited to see this year’s turnout increase from recent years. It is set perfectly for team and club building as tryouts will be taking place through the month of May. June 8/9 2019 the 15th Annual Santa Cruz Open will be the same great event as always on the beautiful beach boardwalk. This year it is actually set up as a preliminary tournament for those who will compete in northern California a few weeks later in San Francisco. This event is in high demand as it has had to cut back the number of teams in recent years due to city restrictions. So, sign up early or you might miss out. June 22/23 2019 the San Francisco Summer Beach Blast Returns after a hiatus. 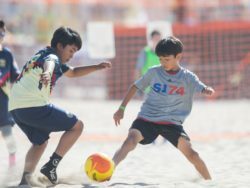 This US Beach Soccer Qualifier taking place June 22nd & 23rd will also be part of a Brazilian festival with live music, dj’s, international food court, as well as the largest Brazilian flag featured anywhere in the United States. It is a facelift for the SF event and will be working to become the most entertaining event in the series. June 22/23 2019 the Beach Bums will feature their first ever US Beach Soccer Qualifier at Singer Island in Florida. Their new partnership with the USBSNC is an exciting moment as we offer more chances to beach soccer teams from the original birthplace of the sport in the US have the chance to represent in December at nationals. June 29, 2019, although not confirmed in stone yet, will be Boston Beach Soccer’s annual growing event. Last year saw the event grow significantly and we are happy every year to see participants grow and feature from different parts of the country. 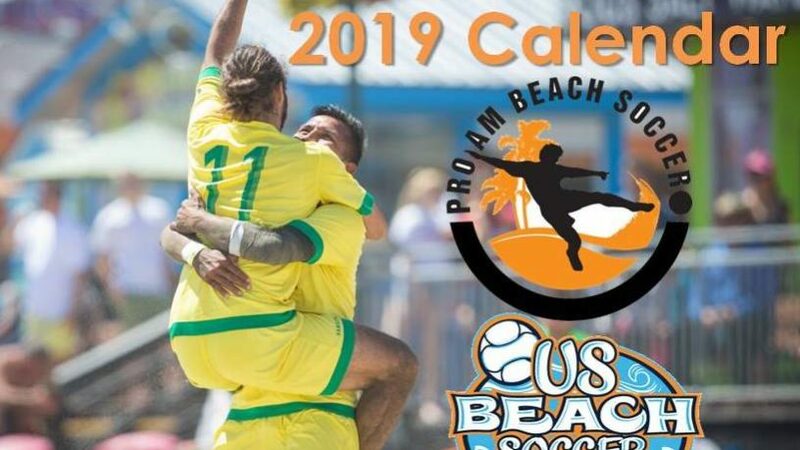 July 13/14 2019 Two Rivers, Wisconsin will be hosting their first ever beach soccer event. This event which is sanctioned by the Wisconsin Youth Soccer Association and will also be a USBSNC Qualifier. January saw proof you don’t need a beach as Tighe O’Sullivan ran a clinic at The Watering Hole in Green Bay. It had five beach volleyball courts and the clinic for boys and girls teams had nearly 20 coaches seeing the paradigm shifting experience of winter training option first hand. Proof you don’t need a beach to play and train beach soccer. July 20/21 2019 The Windy City Qualifier taking place in Chicago in conjunction with the Illinois Youth Soccer Association will be continuing a great tradition in beach soccer while adding it as a USBSNC event. This event which has a rich history of development in the host city of the US Soccer Federation is bound to be a step forward for everyone involved in improving the sport across the country. August 3rd, 2019 San Francisco will host its final event of the season before nationals in December. This event which has been popular for teams returning from summer is the perfect opportunity for teams to get in the sand the weeks leading up to this event and taking them into the fall season stronger than if they did not participate. feature both Women’s and Men’s teams and should be the second time the US Women’s National Team is featured. 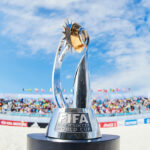 October 2019 has unconfirmed dates for CONCACAF World Cup Qualifiers but will be taking place either one or two weeks after the World Beach Games in Puerta Vallarta, Mexico. The US National Team has been featuring three players from the NorCal BSC club as of late. David Mondragon of Santa Cruz was featured last year in a Q&A which you can find in our articles, while Gabe Silveira debuted with the side which won its first tournament in a long time in Hungary in 2018. Then Tanner Akol, also of Santa Cruz, was added to the roster for the prestigious annual Dubai Tournament of Champions. Although the team started slow they came from behind to beat world powerhouse Spain to win the consolation bracket. We look forward to seeing the resurgence of Northern California players on both the Men’s and coming Women’s National teams. November 2019 Beach Soccer World Cup in Paraguay. 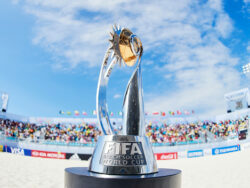 This is the premiere of all events in the world of beach soccer. We are hoping to see the USA once again feature in this tournament. After attending all but one World Cup between 1995 – 2007 (missed 2002) the USMNT has only returned once in the past six opportunities. It is time the team returns and we will be excited if it once again features players from Northern California as it did so prominently when it won the 2006 & 2007 CONCACAF Championships. 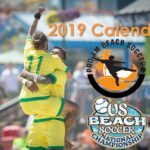 December 7/8 2019 US Beach Soccer National Championships. While the venue has been decided we are holding back on announcing publicly until we have jumped through the final hoops. The date is established, but which beach in the city chosen has not. We expect the announcement to take place shortly. 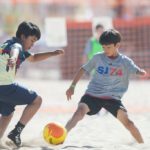 Beach Soccer World Cup Dates Announced for Paraguay!